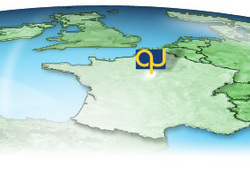 Squire Technologies, a global provider of SS7 and VoIP telecommunication products and solutions, and IP Directions, a leading VoIP service provider in France, announce that they have successfully completed interconnect tests (ISUP SPIROU) with France Telecom. With FT approval, deploying the software only SVI_MGC Media Gateway Controller provided a bridge between the France Telecom SS7 network and IP Directions SIP based service. The SVI series of SS7 VoIP gateways & controllers have been adopted by major operators throughout the globe, and are designed to offer ease of use with proven interoperability. For any new entrant wishing to compete with multiple VoIP service offerings, France Telecom interconnect further extends the market opportunity, providing greater access to competitive IP solutions, for which end users are more commonly demanding throughout France. Gilles Bernard, CTO IP Directions, Yerres, France. "We had a pure SIP requirement, and needed a signaling system able to present our SIP network as SS7 to France Telecom. The SVI MGC Media Gateway Controller fulfilled our proposal for a redundant system that supported our incumbent Media Gateways and was ready to support a future direct SIP interconnection, meaning we could future proof our investment without an expensive overhaul of our current infrastructure. The France Telecom approval means as a service provider we can press on streamlining our IP services to our fixed and mobile customers." Simon Dinnage Business Development Director, "We are delighted to have passed the France Telecom interconnect process, which was implemented smoothly and with time to spare, as well as thanking IP Directions France for their support. We now look forward to increasing our presence in France and working with operators seeking to deliver new and innovative VoIP services." Squire is a UK based company, which combines leading edge SS7 and VoIP telephony products with world class installation and support services to deliver carrier grade telecom products worldwide. Successfully deployed in more than 50 countries the SVI product provides high availability, scalability and fully featured onboard and remote management interface, catering for both small interconnect up to large international points of presence. Coupled with a dedicated support and installation team, Squire Technologies can provide a complete, SS7 VoIP end-to-end service with support from pre-sales consultancy to installation to ongoing post-sales support & product development. "IP Directions has been registered to ARCEP since 2006 to provide a wide range of TOIP SIP services for Wholesale leaders: Carriers, ISPs and Integrators. With a SIP backbone based in Telehouse 2 allows IP Directions to deliver worldwide applications, mainly premium terminating, DIDs in France, portability to all carriers, fax to mail, SIP accounts, SIP trunking with T38, rescue numbers location, O8AB PQMCDU & 09AB. IP Directions solutions are fully compatible with all the class 5 softswitches and IPBXs : Astérisk, Broadsoft, Cirpack, Mosaica, Resix, Epigy, Andrexen, Alcatel, Centile, Cisco Call Manager, Ericsson, Squire Technologies etc... Our leading position allows wholesale telecommunication professionals to be in time to market and offer to their end users value added services like converging applications, Instant messaging, Unified voicemail..."